Let yourselves be conquered by the refined Simonetta style: children clothes, baby boy clothes and baby girl clothes. 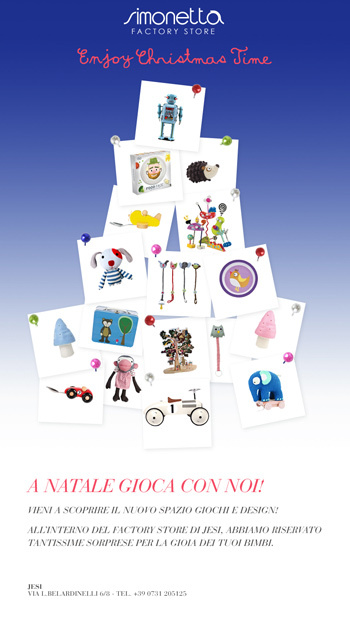 Come and discover Simonetta world Factory Store in Jesi: enchanting fashion suggestions and a new colorful play and design area…Feel Christmas atmosphere! You can also buy directly from your home at Simonetta shop online: kidswear and children clothing 0-14 years old.